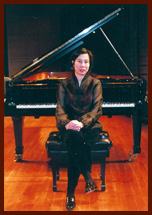 Located between Boston's Chinatown and South Station, we offer classes for piano and string instruments, theory class, choral, private instruction. With our experienced staff, we look forward to providing a long lasting and rewarding educational experience for our students. Since 1990, the Ip Piano School is a representative of the ABRSM, England. For free syllabuses, application forms and further information, call our office (617) 542-9129 or e-mail us. Ip piano school was established with the mission of extending the opportunities of music study to all ages. Our program is designed to provide students with stimulation, inspiration, and satisfaction to prepare them for a lifetime involvement in music. There are a variety of lessons and classes available to enrich one's musical background.